Trusted Platform Module based cryptography protects your secrets as well as your government’s secrets. Well, it used to. [Christopher Tarnovsky] figured out how to defeat the hardware by spying on its communications. This requires physical access so it’s not quite as bad as it sounds, but this does reach beyond TPM to many of the security chips made by Infineon. This includes peripheral security chips for Xbox 360 and some chips used in cell phones and satellite TV. [Christopher] revealed his hack during his presentation at Black Hat 2010. The method is wicked-hard, involving removal of the chip’s case and top layer, then tapping into a data bus to get at unencrypted data. 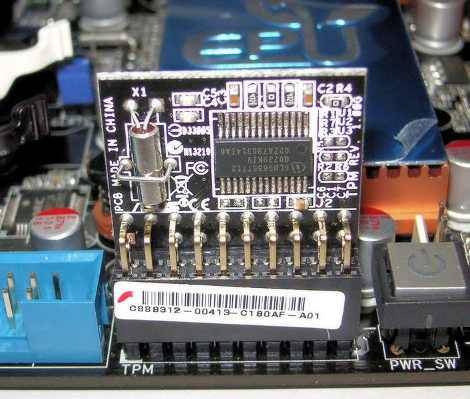 The chip still has some tricks up its sleeve and includes firmware traps that keep a look out for this type of attack, shutting down if it’s detected. Infineon commented that they knew this was possible but regard it as a low threat due to the high skill level necessary for success.